A 58-year-old father from Leauva’a, who died last week when a mini van crashed into the gas tank of a bus causing an explosion, has been hailed a hero. Tanielu Pati Seinafo saved a baby’s life when the small vehicle exploded after it crashed into the bus at Puipa’a. The father who was holding the four-month-old baby, also named Tanielu, fell off the bus but had managed to cuddle the toddler securely, saving his young life. He died from severe injuries when he arrived at the Tupua Tamasese Meaole Hospital. Yesterday, the mother of the baby, Jacinta Tavita, was in tears when she spoke about what happened. Jacinta and her baby had hopped on the bus at Vaitele. It was a full bus so Tanielu offered to take the baby while the mother looked for a seat somewhere out the back. 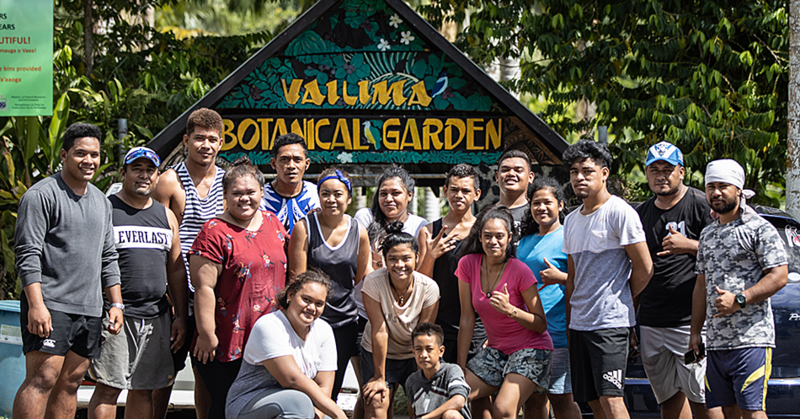 “When we got to Puipa’a, I heard a loud bang coming from the side of the bus and that’s when I saw a part of the bus being torn off. The bus eventually stopped a few metres after impact. “When I rushed to where my uncle was lying, he was holding baby close to his chest,” she said. Jacinta said her uncle was badly hurt. At that time, the driver of the mini-man, a Chinese man, was on the opposite side of the road. He too was injured and bleeding. 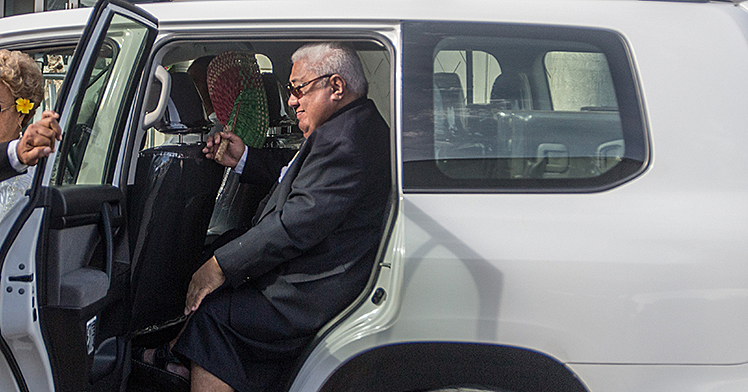 Jacinta said that Tanielu died upon arrival to the hospital. “It was really sad to hear,” she said. “I don’t want to go more into details of what had happened on that day, but our family is in much pain now. Asked about baby, she said he is doing fine. 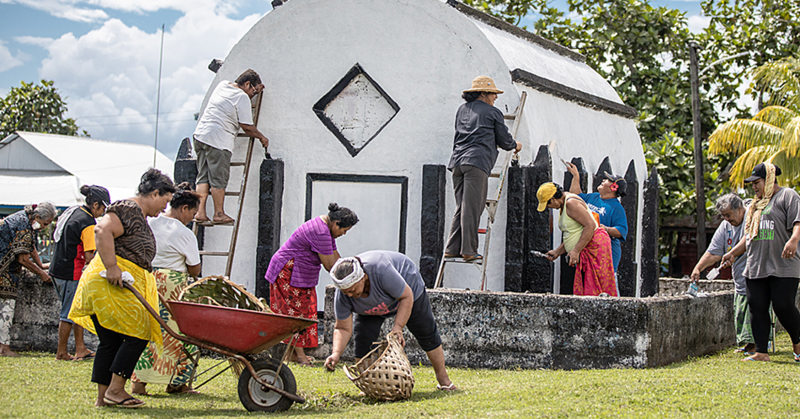 A family member, Soloi Vaifale, paid tribute to Tanielu as a hard working man. .
“He loves his family,” Soloi said. “He was one of the hardest workers I know, not only for his children but for everyone...you hardly see him inside the house everyday, he’s always at his plantation. “I have been in the vegetable industry for a very long time now,” he told the Village Voice. “I have been able to grow many different types of vegetables right throughout my life. As you can see the cabbages are starting to mature. Tanielu continued on to explain just how great the profit he gets from cabbages really is. 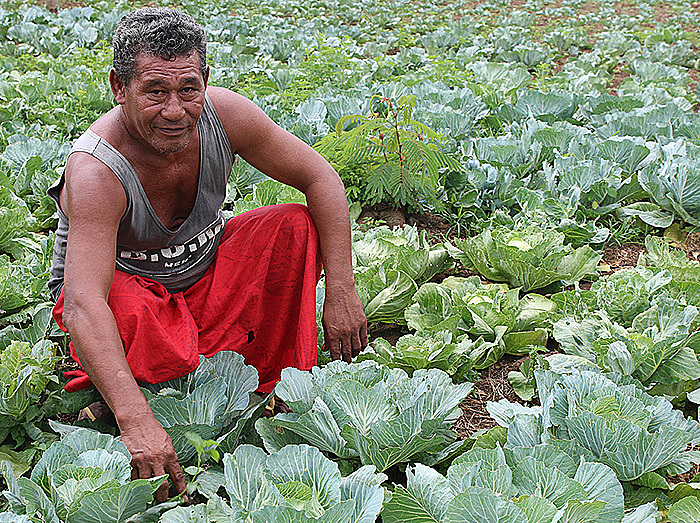 According to Tanielu, round cabbages are the best types of cabbages to grow because they’re both easy and reliable. “This round cabbage sells so much better than other types of cabbages,” he said. “This is because if the Chinese cabbage doesn’t grow properly then it will be small and you will need ten to make a bundle. Round cabbages on the other hand, you just need one and you can sell it like that. Yesterday, the Police’s Media Spokesperson, Assistant Police Commissioner, Su’a Tiumalu said the driver of the minivan is still in hospital. He could face dangerous driving charges.